Happy belated Halloween y’allllll. I sure had a good one by staying in eating jalapenos pretzels and getting my full 8-hours of sleep. That is the life…but for the very first time, I didn’t cheat out of the festive holiday with an angel halo or a set of animal ears. I wanted to really dress up like something or someone that I can relate to or give a little tribute to. However, you know me- I’m not the type of person who would buy something just for one use, so I thought I should make a “costume” with the stuff that I already have at home. I was going to go as a member of One Direction, but I dress like that everyday anyways.. I got my ah-ha moment when I was listening to Lorde’s album for about 3 days straight..yup, it’s that good. I realized that I have a similar fish net-textured top as Lorde from her music video, Tennis Court, and her performances on many radio stations. 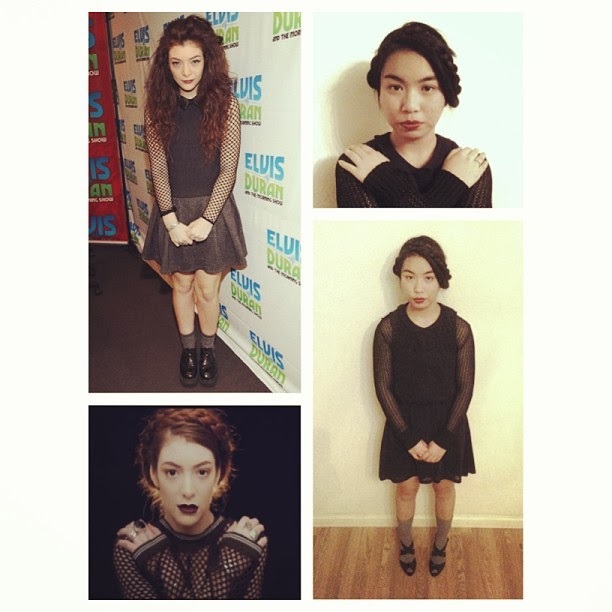 Lorde tends to wear black dresses, and heeeeey, I have plenty of those. The only thing I changed about the look was the shoes; I switched the creepers (?) for a pair of heels because that’s how roll. 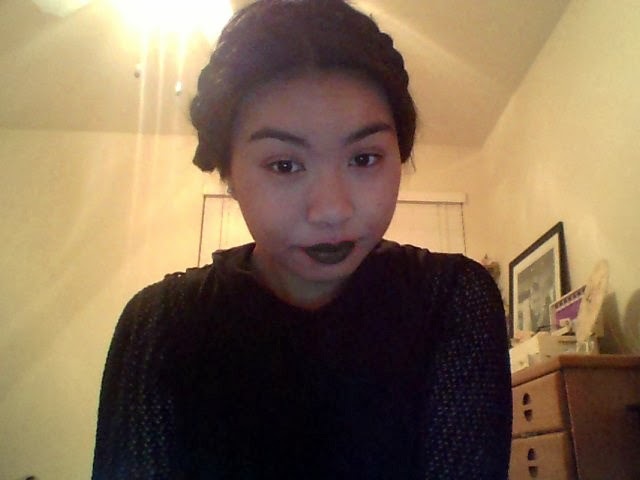 You cannot do the “Lorde-look” without a dark shade of lipstick. You can go fierce with a black shade, but if you can’t find one or you are not comfortable going all out, I would recommend a dark plum shade.